Your housecall veterinarian, Dre Lindsay can offer you a multitude of services for your pets, from complete examinations to customized vaccinations, parasite control, prevention and treatment of many conditions which might be affecting your pet’s health. Whether you have a very busy schedule, reduced mobility or a pet that does not appreciate transportation, having your veterinarian visit your pet at home will make you save time and greatly reduce the stress for your dog or cat. 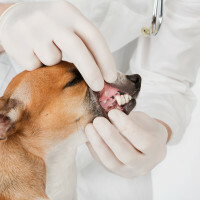 Once the veterinarian visits you, he may become the accredited professional for all your pets and guide you as to when it will be necessary to consult to ensure their good health. When the animal is in a familiar environment, the consultation usually takes place in calm and serenity. You will find the experience to be cost effective and time saving and will receive personalized service at your convenience.